Welcome to Sussman Acura’s Finance Department, your auto loan and car lease resource! In our finance center, you’ll find all the resources and assistance you need to find a payment plan for your next vehicle. On this page, you’ll find more information about our friendly finance team, our many helpful finance tools, and much more. Shoppers in the areas of Jenkintown, Abington, and Lower Southampton Township should read ahead to learn more about how we can get you set up with the perfect payment plan for your next vehicle! At our finance center, we’re dedicated to getting you matched up with a financing plan for your next vehicle that you feel confident about. 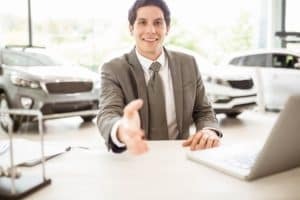 Whether you’re looking to buy or lease your next vehicle, our friendly finance team can get you set up with a payment plan that makes sense for you. No matter what kind of budget or credit score you’re working with, our finance team is ready to work with you. 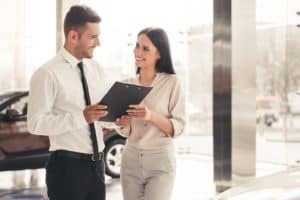 Our finance team here at Sussman Acura has strong relationships and is committed to finding you the perfect car loan company to suit your car finance needs. View our Used Inventory here! Online Financing Application—Applying online ahead of time allows our finance team to get a jump start on finding you the best rates for your finance plan and expedites the entire process when you come into the dealership. Payment Calculator—Our Payment Calculator can help you narrow down your search through our inventory. Find models on our lot that fit your budget and zero in on the perfect vehicle for you in half the time. Value Your Trade tool—Explore the option of trading in your current vehicle to supplement your down payment or monthly payments using our Value Your Trade tool. Take advantage of these tools and the many other financing resources we have to offer right on our website. At our finance center, we offer a variety of payment options to suit the unique needs of every one of our customers. When you finance your next vehicle, you have two main choices—buying and leasing. Our finance team will help you figure out which is the best option for your needs. There are many differences between buying and leasing, but both offer great benefits. Sit down with our finance team after you’ve picked out your next vehicle and they’ll help you choose the option that’s right for you. 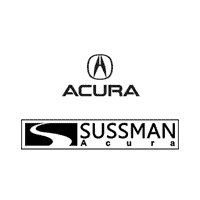 We at Sussman Acura can’t wait to help you get the ball rolling on finding and financing your next vehicle with us. Shoppers in Jenkintown, Abington, and Lower Southampton Township can get started today by browsing our inventory right on our website! Contact us today to get started with financing a new Acura!